Israel or the Palestinians? Who’s Dependent? I have a piece in the New York Post today that suggests only a liar or an insane person would deny that Israel benefits from a political culture far healthier than the corrupted and diseased culture of the Palestinian polities. You can read it here. Mitt Romney pointed out the wild disparity in GDP in the areas controlled by the Palestinians and those under Israeli dominion. Someone on Twitter commented that Israel is a “welfare state” living off the U.S. and we should see what would happen if it were cut off. Well, let’s see. U.S. aid to Israel has remained steady around $3 billion a year since the signing of the Camp David Accords in 1979. It was set that high in part because Israel surrendered functional oil fields to Egypt when it gave back the Sinai and lost a significant source of income. In 1980, that aid was enormously important to Israel’s general health. It constituted something like one-seventh of the nation’s overall GDP ($22.8 billion). Flash forward to 2011. Israel’s GDP was $245 billion. U.S. aid constituted 1/81st of Israel’s GDP. What’s more, almost all that aid is in the form of military assistance, much of it in the form of support for Israel’s Iron Dome missile-defense efforts, which have direct R&D implications for the United States. In other words, Israel is testing, under real-world conditions, equipment the U.S. may need to use later. It is five years since Hamas took control of the Gaza Strip and Israel tightened its siege of the territory. Many men became jobless overnight and it is women who have ended up bearing the brunt of their husbands’ frustration. So let’s get this straight – Israel is the reason that Palestinian men beat their wives. Maybe The Guardian’s journalist might like to consider that violence against women might very well be a by-product of a society that glorifies violence and terrorism, where children can spend their summers learning jihadi skills at Hamas sleepaway camps. Ten years ago today, on July 31st, 2002, Palestinian terrorists planted a devastating bomb in Hebrew University's Frank Sinatra Cafeteria. Numerous students and faculty were murdered in the attack, including several Americans. The attack was perpetrated by terrorists who had received funding, resources and safe haven from the Palestinian Authority (PA). Although the bomb maker, the arch-terrorist Abdullah Barghouti, was being hunted by Israel, he was hidden in a safe house by PA officials after they had released him from jail. The PA continued to assist Barghouti to remain free. We brought suit against the PA and PLO for their role in aiding and abetting the Hebrew University cafeteria bombing. This month, we sought to take the deposition of Abdullah Barghouti who is serving multiple life sentences in an Israeli prison. 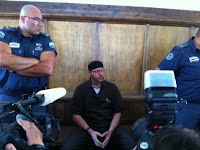 After cursing at the other lawyers and myself, Barghouti refused to answer our questions, even after we had the Jerusalem Court order him to testify. Nonetheless, we decided to press on with the case against the Palestinian Authority and the PLO without Barghouti's testimony. Yup, there you have it - the true nature of the Olympics has come out within the first two days. The Lebanese refused to train next to the Israeli team. The Olympics Committee quickly capitulated - and put up screens lest the Lebanese be forced to continue seeing the Israeli team. Of course, the IOC will now have to explain how this isn't politics - but then again, they should have no problems twisting lies and deception into their own unique type of reality. After all, after steadfastly refusing to honor the eleven Israeli athletes murdered at their Olympic games, on their watch, because of their failed security - they did allow a moment of silence for the London terror victims of July 7, 2005. Please don't misunderstand - I don't have a problem with the city of London remembering their own; I just find it grossly hypocritical that in that moment of silence, no one could think to dedicate it to someone else's victims of terror. It could have been a moment for all victims of terror; it could have been. It should have been. But it wasn't. And according to the son of one of the Israeli victims, the International Olympic Committee had the nerve to tell the Israeli families that if they were to give a moment to the Israeli dead, they would have to likewise give a moment to the Palestinians who died at the Olympics games - to be fair of course. An update on the continuing indiscriminate fire by the Gazan terrorists on Israel and Israelis. In the past fifteen minutes (it's now 1:20pm on a hot Tuesday afternoon) we have gotten reports of two rockets crashing into southern Israel and exploding not far from the border with the Gaza Strip. The rockets were of course fired from the Gaza Strip by any of an almost limitless list of real and imaginary groups, subgroups and sub-sub groups of the Gazan Palestinian Arab terror conglomerate. The Tzeva Adom incoming missile warning system began sounding at 1:00pm. We suspect these rockets are intended as retaliation by yesterday's outrage: the facilitation by Israel's military of 251 delivery trucks carrying more than 6,100 tons of goods into Hamas-controlled Gaza, including a ton of veterinary drugs. During the week just ended, more than 735,000 liters of heavy-duty diesel fuel for Gaza's power plant were admitted via COGAT [details here]. COGAT is almost never mentioned in news reports - it's the arm of the Israeli military that serves to co-ordinate civilian issues among Israel and the Israel Defense Forces on one hand; the multitude of interested international organizations and diplomats on the second hand; and the Palestinian Authority and its Gaza equivalent on the third hand. 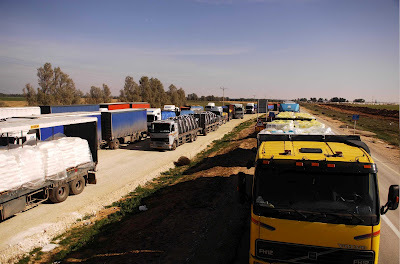 Thousands of tons of goods arriving by road from Israel: no flotilla, no tunnels, no sniper cover. The insult to the Palestinian Arab pride of Gaza's population is understandably more than a normal person can bear. A magnificent enterprise, an intellectual treat, exhilarating spiritual experience and no media coverage. The annual Herzog College Bible study seminar at Yeshivat Har Etzion in Alon Shvut – attended last week by over 6,000 men and women, young and old, religious and secular — is a magnificent enterprise, an intellectual treat, and an exhilarating spiritual experience. Too bad it gets no media coverage. The Israeli press regularly ignores this uplifting event, year after year. The military censor herself couldn’t have done a better job of blocking news of the conference. Why? Probably because Israeli journalists are embarrassed by the Bible’s popularity. They’re petrified that so many people feel that the Bible is relevant. The Herzog College Bible studies seminar (Yemei HaIyun BeTanach) was founded 20 years ago by its parent institution, the Har Etzion hesder yeshiva in Alon Shvut. The seminar offers a choice of 200 lectures across five days, ranging from Biblical archaeology to hermeneutics, linguistics, poetry, prophecy, politics, theology, history, geography, translation, cosmology and creationism, mysticism, midrash, and law, covering all 24 books of the Bible. The classes are both academic and traditional, incorporating twenty-first century scholarship and Talmudic interpretation, creative readings alongside conventional approaches. Dozens of books with contemporary analysis of the Bible are published every year by the College. The lecture days are nearly always sold out, as is an additional day of Biblical field tours. Alas, these names mean nothing to the average Israeli. Mainstream Media Ignore Bigoted Treatment of Israeli Olympic Team. Where's the Coverage? 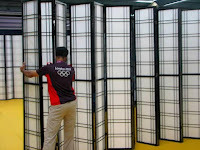 On Friday, July 27, prior to the official opening of the 2012 London Olympic Games, the Lebanese judo team refused to practice next to the Israeli team and Olympic organizers erected a barrier to split the gym in half. The organizers promptly accommodated the Lebanese demand and set up the separation screen. According to several Hebrew sports sites, the two teams were scheduled to use the same gym and mats at London's new ExCeL center for their final preparations. However, the delegation from Lebanon would not train in view of the Israeli team, and insisted some sort of barrier be placed between them. Romney has landed in Jerusalem and Obama is threatening to visit Israel in his second term. This seems like good news for Americans, but presidential and pre-presidential visits are often bad news for Israelis. Romney's trip itinerary covering the UK, Israel and Poland is a clever road map critique of Obama's foreign policy. Kerry and Obama both campaigned on a promise to fix America's broken relations with its allies. Romney is subtly doing the same thing, paying a visit to allies alienated by the last three years. When Obama first visited Israel the contentious Democratic primaries had just wrapped up and Jewish voters and organizations had thrown their support to Hillary Clinton. Obama had Jewish leftists, but he didn't have more middle-of-the-road Jewish Democrats. And additionally paying a visit to the home of the Little Satan was a way of dispelling suspicions about his Muslim roots. Obama hasn't bothered with a visit to Israel, but he hasn't bothered appearing in person at the NAACP either. And that's all for the best. Israel needs a visit from Obama about as much as it needs more of the "mysterious fires" being set as part of the Arson Jihad. A presidential visit to most other countries is a formality while a presidential visit to Israel is an unpleasantness. Presidents who visit Israel must also stop off for a visit with the terrorist leaders. Presidents don't just stop by, have a pita, smell the flowers and do some handshakes. Instead they arrive tasked with peacemaking duties and then they task everyone else with their peacemaking. Gush Katif by David Wilder..
First Posted 07 July '10..
Don't let the Guardian and other media try to tell you that it isn't. She fought for each Prisoner of Zion. Now, she wages a vital battle of her own. A woman who played a major role in personalizing the battle for the release of Soviet Jews in the 1970s is now in the midst of her own battle — for the kidney transplant to save her life. 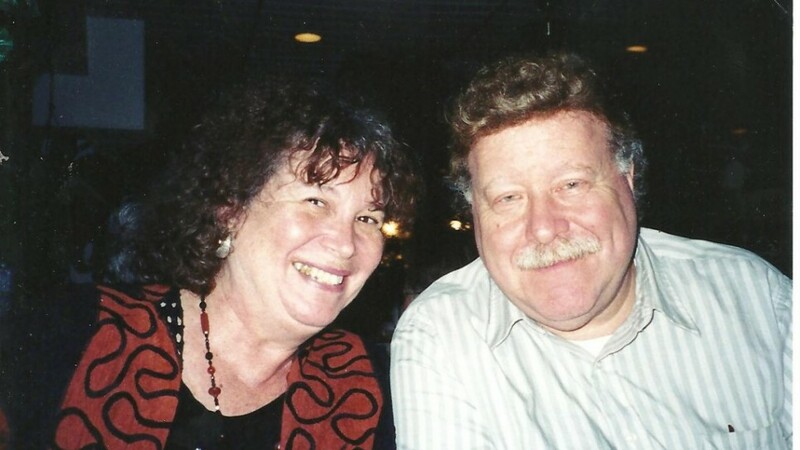 Beginning in the early 1970s, Enid Wurtman, now 70, became involved with the cause of Soviet Jewry, working on publicity, fund-raising and political activism from her home in Philadelphia. She is credited with putting a face to each refusenik’s story in a way that galvanized greater Jewish support. After moving with her family to Israel in 1977, Wurtman continued to work with immigrants from the former Soviet Union and does so to this day. However, in 2010, Wurtman’s own campaign began when she was diagnosed with kidney failure. Her health has been in decline ever since and now Wurtman desperately requires a kidney transplant. In June, she found the person who might save her. An altruistic Israeli donor came forward, but there are still multiple obstacles ahead before the transplant can be finalized. She is now in the midst of a two- to three-month waiting period; the donor must pass numerous tests and the transplant still requires approval from the National Kidney Board, Wurtman said. While waiting for a kidney, Wurtman, now a grandmother of six, continues to charge ahead with her life’s work. It all began in 1973 when she and her husband Stuart went on what was meant to be a leisurely Russian getaway. Instead of relaxation, they underwent a transformation, Wurtman said, when they encountered Jewish would-be emigrants trapped in the USSR. Wurtman was a social worker living with Stuart and two small children in Philadelphia. After meeting the brave “Prisoners of Zion” on the streets of Leningrad and Moscow, Wurtman and her husband, who died this April, devoted themselves to raising awareness and support on behalf of their new friends. At that time, the refusenik movement barely existed, Wurtman said. According to her son Elie, his parents’ active campaign on behalf of Soviet Jewry sparked the North American Jewish community into action. “My mom lived every day of her life speaking, organizing and bringing in more activists,” he recalls. The Wurtmans created an organization in Philadelphia for Soviet Jewry and formed “adopt-a-family” committees with individuals, synagogues and organizations. Elie attributes his mother’s success to her modest but passionate presentation of the Soviet plight. “She would tell the story of each person, building personal relationships between them and North American communities. All of a sudden, each refusenik was a hero with a name and a face that people could relate to,” he says. 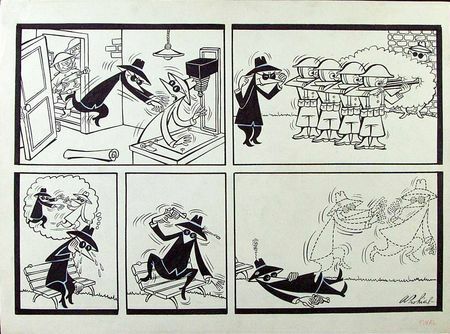 The New Egypt, Egyptian pranks and the so-called Arab Spring. It matters little whether each of the three was genuinely outraged or just thought it prudent to defend his/her reputation from any possible perceived Israeli contamination. 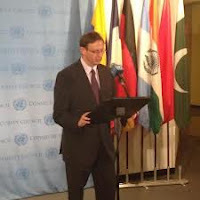 The remotest and most indirect connection to Israel was presented as justifying fury. Actor Ayman “Tuhami” Kandeel, believing his female interviewer was Israeli, began punching her, knocked her to the ground and proceeded to hurl furniture at the technical crew. This is but one of numerous illustrations of the nature of the New Egypt, the one forged by a so-called Arab Spring. The chronology below picks up from our previous posting of Tuesday, July 24, 2012 [here]. Both are based on information received via on the Tayar Security Report, as edited and annotated by us. Yehudit Tayar creates her invaluable bulletins from first-responder, police and army reports. Israel's legal blockade has indeed been blamed for real and fabricated Gaza hardships alike. It's a reporter's job to sift through those claims, sorting out the fact from the fiction. But Izzidien doesn't. For her, it's enough to say that Israel was blamed. The merit of the outdated accusations are not particularly of any concern to her. And she then attempts to breathe new life into the old blockade story with the accusation that under "the Israeli-imposed siege" (but not the Egyptian-imposed siege) "education is suffering" and the "blockade makes it so difficult to bring in books. . . ."
In the weeks and months prior to the opening ceremonies of the Olympic Games, the organizers and the International Olympics Committee were adamant in insisting that there was no time during the event for a single moment of silence for the victims of the 1972 Munich massacre. The 40th anniversary of the terrorist violence that disrupted the sports extravaganza went unmarked during the worldwide television show except for the courageous decision of American broadcaster Bob Costas, who silenced his microphone for five seconds in honor of the Munich victims. But as it turned out, those who produced the opening ceremonies were not opposed to commemorating the victims of terrorist violence, just to remembering Israeli victims. 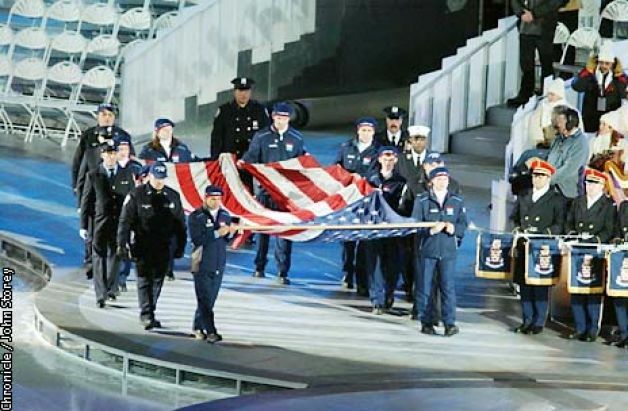 The official program included a nearly six-minute long choreographed commemoration of the July 7, 2005 London bombings. The excuse for this is that the terrorist assault on London by four Islamist bombers took place 24 hours after the announcement that London would be the host of the 2012 Olympics and is thus associated in the minds of the British with the Games. Fair enough. Those attacks that took the lives of 52 people deserve to be remembered, as do those of other terrorist attacks by Islamists around the globe. But the juxtaposition of the tribute to those victims with the absolute refusal of the organizers to devote a moment to the memory of an event that is far more closely tied to the Olympics was both shocking and indecent. While there were those who speculated that prejudice against Jews and Israelis was at the heart of the IOC’s decision prior to Friday, the surprising inclusion of the 7/7 attacks as a major element in the ceremony confirms that this was the case. The only possible conclusion to be drawn from this is that the Olympic movement considers Jewish blood shed by terrorists at an Olympics to be somehow less significant than that of other victims. 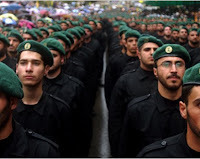 Appeasement of Hezbollah Now EU Policy? Really? In the wake of last week’s terror attack against Israeli civilians in Bulgaria, the European Union has refused Israel’s request to blacklist Hezbollah as a terror group, citing a lack of “tangible evidence” it was engaged in terrorism. The attack, which claimed the lives of five Israelis and a local Bulgarian man, has been widely attributed to Hezbollah and the Iranian regime, under whose orders it was carried out. In an interview on Fox News this past Sunday, Israeli Prime Minister Binyamin Netanyahu said, Israel knows "with absolute certainty, without a shred of doubt, that this was a Hezbollah operation," citing it had “rock solid evidence” the terror group was responsible. Perhaps the EU thinks that Hezbollah is running a soup kitchen out of Beirut? 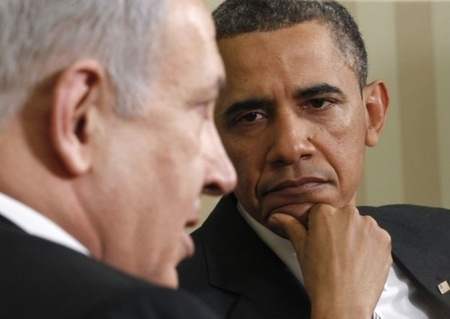 Israel spies on the US? Why? A recent AP piece tells us that the CIA considers Israel its “number one counterintelligence threat” in the Middle East. 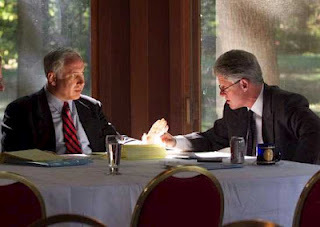 The article describes several incidents illustrative of the mistrust between the intelligence agencies of the two nations, including of course the cases of Jonathan Pollard and Ben-Ami Kadish. One wonders why this article appears now. Did the story idea suddenly pop into the heads of the AP writers? I don’t think so. Someone at the CIA decided to stick it to Israel today, when Mitt Romney is going around (correctly, in my opinion) criticizing the Obama Administration for tilting against Israel. The piece strains mightily to find an example of a case in which Israeli spying actually damaged US interests (at least, interests that the CIA is willing to publicly admit). The best it can do is point to a Syrian scientist who was working for the CIA who might have been caught because of an Israeli leak. 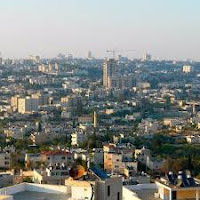 Palestinian Financial Crisis Looms? Looking at the Roots of the Crisis. The Palestinians face an economic crisis more severe than the World Bank had anticipated; the Bank fears that the territories may become "ungovernable." This is not actually new, but since the Bank in its panic is considering bypassing restrictions on money to Hamas, it is worth looking at the roots of the "crisis." The Palestinian Authority's 2012 budget -- produced by PM Salam Fayyad, the West's "go-to man" for economic decision-making -- was a fantasy. It called for $3.5 billion in spending, including $1.1 billion in aid, and showed a deficit of between $750 million and $1.1 billion. The latter has proven to be closer to the truth. 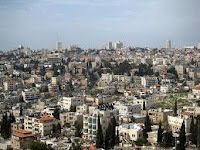 The Palestinian economy was expected to generate about $1.3 billion, and the PA planned to spend three times that. (By comparison, Vermont, the smallest generator among U.S. states, produced about $26 billion last year.) U.S. aid ($513 million, not including security assistance) was expected to cover about 20% of actual PA spending, with the Europeans kicking in another 20%. With planning like that, who could be surprised by a $200-million cash shortage? The World Bank blames the world economy and Israel. It does not find fault with Palestinian corruption, an outsized security force, an oversized bureaucracy, an overreliance on other people's money, or the failure to find things to do that produce income. It declines to consider whether the ongoing Palestinian war against Israel has had an impact on the Palestinian economy. There used to be income. My family went to synagogue to read Eicha (Lamentations). The Jewish people have plenty over which to lament - from the first major Tisha B'Av disaster (the sin of the spies in the desert) up through the destructions of the Holy Temples, the Spanish Inquisition, and most recently the Destruction of Gush Katif and Northern Shomron and the Expulsion of Jews from their homes. On my way to sleep, I decided to check the news. Nothing special. IDF Home Front Command's Search and Rescue soldiers are training for chemical warfare. Opposition leader Shaul Mofaz said that attacking Iran could be catastrophic for Israel. The CIA says Israel is breaking into the homes of CIA agents in Israel. Republican Presidential Candidate Mitt Romney has landed in Israel. Looking at the Expulsion from the eyes of settler, soldier and politician, it is done in such a true-life human manner without anyone banging your head with messages, it doesn't seem like a documentary.Up-close, personal, compelling, excellent! Directed by Joel Blasberg and Oreet Rees, produced by Arnold Peltz and Joel Blasberg, it is also magnificently filmed and edited. In addition to the interviews done with the subjects of the documentary, the film brings us right up close to the interactions between soldier and settler at the moment of the Expulsion. We hear their dialogue, their thought processes, their reasoning, their arguing. 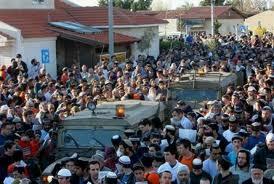 "It will be fine," the soldiers told the sobbing residents of Gush Katif as their were being thrown out of their homes. "It will be fine." This Tisha B'Av, as hundreds of thousands of Jews around the world mourn the tragedies that have befallen them throughout history, we are reminded of the heart wrenching episode the State of Israel underwent seven years ago - the disengagement from Gaza. The 90 minute film, UNSETTLED, offers a personal behind-the-scenes look, both before and during the evacuation, at the people whose lives would forever be impacted by the events which unfolded during those difficult weeks. With the ramifications of the disengagement from Gaza still very evident today, this emotional documentary film takes you back to experience the event from the perspective of both the settler and the soldier. Free stream sponsored by TheLandofIsrael.com. Please send comments to the producer at GazaWithdrawal@gmail.com. 1st Published 9 Av 5769..
Why deny it? Only a few of us still feel real pain over the destruction of the Temple some 2,000 years ago. Fewer still are attached to the Temple of yore. Tisha B'Av is filled with events organized by Temple Mount movements and groups interested in negotiations and public discourse, but the general public is not part of all that. It is doubtful whether legislation would help in this case. It may even be harmful when the public does not feel mere indifference to this day but alienation. Regrettably, many people ignore Tisha B'Av. They wonder what mourning the destruction of Jerusalem and the Temple has to do with them, who are living in a sovereign Jewish state. But there's another way that will put not only the loss of the Temple and its existence at the center of this day, but mainly the loss of Jewish sovereignty and freedom and the beginning of the long exile. Were it not for that exile, in which we were banished from our land, persecuted, oppressed and murdered, our history as a nation could have been very different. 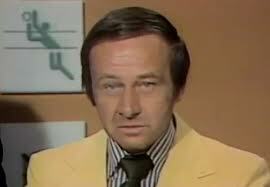 (+Video) And then Jim McKay....they're all gone. If I understand the timing correctly, the London Olympics will begin on Friday night, July 27 - at 9:00 p.m. London time. I won't be watching it - in a few hours, the Sabbath will come to Israel. It is the 9th day of the Jewish month of Av, Tisha B'Av. This year, the mourning associated with this sad day will be pushed off to Sunday. We do not mourn on the Sabbath, not as a nation and not as an individual. We will begin our mourning as the Sabbath leaves us. Tisha B'Av is, without doubt, the saddest day of the Jewish calendar. we have a long list of tragedies that have befallen our people on this day and each year we remember. There are those who are against remembering the Israeli athletes who were murdered 40 years ago. They want us to move on, to stop remembering. This for a people who remember the day both our Holy Temples were destroyed more than 2,000 years ago - and even more for the First Temple. We remember each Temple; we remember each massacre. We remember the expulsion from Spain during the Spanish Inquisition that started on this day in 1492, and so much more. I won't be watching as the opening ceremonies mark the start of the Olympics, but I will remember. I was only 11, just about 12, but there were several moments that remain clear to me - the first announcement and confusion...how could the Olympics be continuing as if nothing is happening? 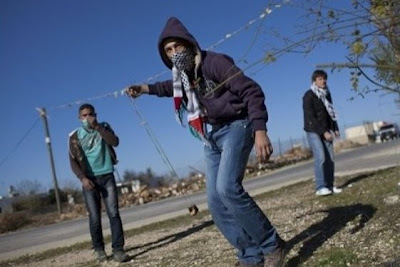 They're playing while the Israelis are being held at gunpoint. And then the world seemed to straighten a little and the games stopped. Jerusalem is Israel's Capital, Like it or Not. White House press secretary Jim Carney refused to publicly name the capital of Israel yesterday. All he was willing to say when asked repeatedly is that the White House position on Israel’s capital hasn’t changed. This is all really quite silly. It’s a fact—not an opinion—that Jerusalem is Israel’s capital. Anyone who insists otherwise is in denial. You may wish Tel Aviv was its capital. 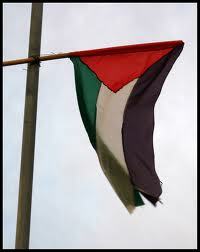 You may even wish a united Al Quds was the capital of the Arab state of Palestine. But those things can only be true in an alternate universe or in the future. In this universe, in 2012, Israel exists and Jerusalem is its capital. A photo from 1977 shows the plot on which the Vesertiles' house in Ganei Tal will be built. There are four barefoot children in the snapshot, with yellow sand dunes in the background. It is a desert, without a speck of green anywhere. No birds, no flies, no beetles. In a picture of the same location from 2005 there is already a modest house surrounded by dark green grass, and hundreds of trees heavy with fruit. Many birds, flies and beetles compete for a place amidst their branches. 20 minutes after the photograph was taken, it all disappeared. The birds, the trees, the house — all of it flown away. Shlomo Vesertile kept the magnets he had on the refrigerator, commercials to businesses that have been wiped out: an appliance repairman who also does plumbing; a plant nursery and gift shop (open on Friday! ); a Torah scribe (will come to clients' homes to check their mezuzot) and many more. The community of Gush Katif was a miracle. It grew on a strip of land where thousands of mortars fell to great clamor, yet almost without hurting a soul. A heavenly dome of iron had protected it. A place where green leaves grow out of seas of sand until it becomes a mighty agricultural center, must have a guardian angel watching over it. 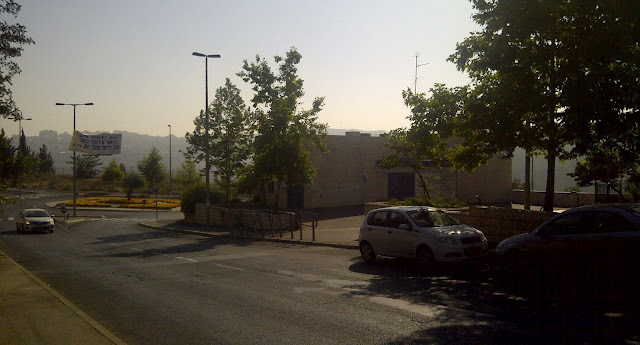 Such a remote location, which in a few short years fills up with schools and places of Torah study, with cowsheds and kindergartens and factories, cannot develop without divine supervision. Gush Katif's quick uprooting had also defied logic. 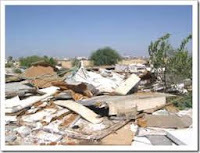 Human language does not possess the ability to describe the destruction of 26 communities within five days. The article continues with examples of Palestinian officials — including President Mahmoud Abbas and Prime Minister Salam Fayyad — honoring and praising the planners of the Munich massacre, Amin al-Hindi and Muhammad Daoud Oudeh (Abu Daoud). Since then the annexation and ethnic cleansing has become an international mandate. It would be absolutely inconceivable for the international community to denounce an ethnically cleansed group which survived attempted genocide for moving back into a city where they had lived. It is, however, standard policy at the State Department and the Foreign Office to denounce Jews living in those parts of Jerusalem that had been ethnically cleansed by Muslims, as "settlers" living in "settlements", and describe them as an "obstruction to peace." Peace being the state of affairs that sets in when an ethnic cleansing goes unchallenged. Describing Jewish homes in Jerusalem, one of the world's oldest cities, a city that all three religions in the region associate with Jews and Jewish history, as "settlements" is a triumph of distorted language that Orwell would have to dip his hat to. How does one have "settlements" in a city older than London or Washington D.C.? To understand that you would have to ask London and Washington D.C. where the diplomats insist that one more round of Israeli compromises will bring peace to the region. How does one have "settlements" in a city older than London or Washington D.C.? To understand that you would have to ask London and Washington D.C. 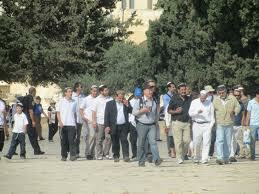 The Israeli Police are very meticulous about Jews praying on the Temple Mount, site of the First and Second Temples. 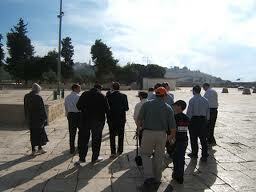 The holiest place in the world for Jews, they are forbidden to pray there. Although the Temples were run by cohanim (priests), anyone could bring a sacrifice. It was in fact the first universal religious site in history. The center of Jewish worship, it was inclusive. Strictly enforced by scores of guards employed by the Wakf (Muslim Authorities) who maintain surveillance of visitors, their discriminatory policy is enabled and assisted by Israeli (Arab) policemen. Non-Muslim religious items are prohibited by the Wakf, including Bibles and prayer books, and visiting hours are restricted. According to UNESCO, Jordan is the legitimate authority in charge of maintaining and protecting the site and is the custodian of Muslim and Christian holy sites in Jerusalem. Because The Temple and the Holy of Holies, an inner sanctum into which only the High Priest was permitted and only on Yom Kippur, was situated on the Temple Mount many Orthodox rabbis forbid visits by Jews. The Temple, however, was located in the middle of the plaza and the southern third of the plaza was added during the Herodian period. The exact site of the Temple, moreover, is unclear. Most believe it was in the area of the golden-domed "Shrine of the Rock," built by Muslims about 1,300 years ago, close to the spot where 4,000 years ago Abraham bought Isaac. A Crusader church was built there until reconquered and rebuilt by Muslim armies. Another opinion places the Temples slightly to the north. Accessible to non-Muslims only during morning and early afternoon hours, except Fridays and Moslem holidays, to avoid interfering with Moslem prayers, Jews who intend to visit are required by halacha (Jewish law) to immerse in a mikve (ritual bath), avoid wearing leather shoes and walk along the periphery of the plaza area. My visit to the Temple Mount was prompted by protests of prominent archeologists over destruction of the site ("renovations") carried out by the Wakf and recent discoveries, by chance, of First Temple period artifacts there. More than a decade ago the entire southern portion of the Temple Mount, where the al-Aksa mosque is located was excavated by the Wakf and turned into one of the largest mosques in the Middle East. It can accommodate 10,000 people. In the process, however, 15,000 tons of valuable archeological material were dumped as garbage. Archeologists and volunteers sifting through the debris found thousands of important artifacts, some from the First and Second Temple periods – and their task is far from completed. How could Israeli authorities allow this travesty to happen? Would it make sense for Egypt to annex the Gaza Strip? How about take responsibility for security there? 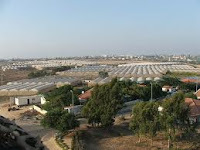 What about being Gaza’s gateway for foreign trade? The president of Egypt is from the Moslem Brotherhood and the radical Moslem parties now dominate the Egyptian parliament. While the Egyptian military still has a say, there’s no telling how long that will last or what the military might find itself doing in order continue having a say. What would happen if Egypt either annexed the Gaza Strip or took security responsibility for it? (+Video) Bizarre scene during White House briefing. 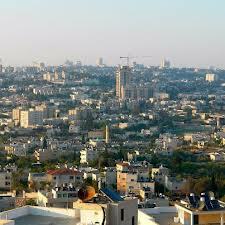 Jerusalem or Tel Aviv? Carney was caught flat-footed when asked which city is Israel’s capital. “I haven’t had that question in awhile,” he said after some hesitation. “Our position has not changed. 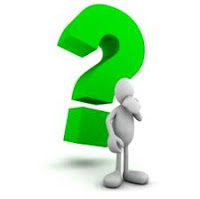 You know our position.” The reporter said she didn’t know, but Carney moved on to another question. That answer touched off a somewhat unruly scene, as WND’s Lester Kinsolving interjected that “she doesn’t know, that’s why she asked.” Carney moved on. "Sports are a bridge to love, interconnection, and spreading of peace among nations; it must not be a cause of division and spreading of racism between them." 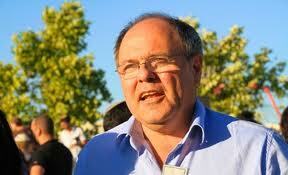 You know why Rajoub considers a memorial to the Israeli athletes to be a "cause of division"? Because it's better not to remind anyone that Mahmoud Abbas, president of the Palestinian Authority, had a direct connection to the Munich massacre. 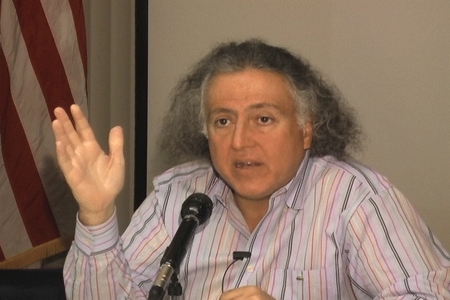 According to Mohammed Daoud Oudeh, a.k.a. Abu Daoud, mastermind of that attack, not only did Abbas raise the funds for it, he also kissed him and wished him luck when he set out on his mission. The laughter dies quickly on the lips in the face of this. Quote of the week: "Definitely wasn't us Iranians. Must have been the Zionists that bombed the Israelis"
Sober and measured assessments see the terrorist fingerprints of Iran's government all over the lethal attack by a human bomb on a busload of Israeli tourists at Burgas airport in Bulgaria on July 18. 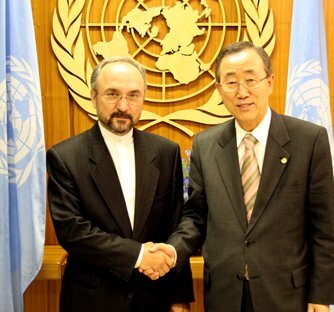 But there remains one reliable forum where doubts about Iranian culpability are the norm rather than the exception: the debating halls of the United Nations. "The Situation in the Middle East"
Thank you, Mr. President - and allow me to extend Israel's appreciation to you for your able stewardship of the Security Council this month. 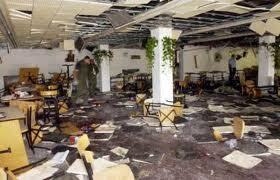 18 years ago, a bomb ripped through the Argentinian Jewish Community Center in Buenos Aires. 85 people were killed. Hundreds were injured. The Islamic Republic of Iran - a Member State of this organization - was responsible for this act, along with its proxy Hezbollah. Last week, a suicide bomber exploded on a bus carrying Israeli tourists in Burgos, Bulgaria. Six were killed, including a pregnant woman. More than 30 were injured. The victims were mostly young people on vacation. Again, Iran and Hezbollah were responsible. In recent months, Israelis were targeted in terrorist attacks and attempted attacks in India, Azerbaijan, Thailand, Kenya, Turkey and, most recently, in Cyprus. Iran and Hezbollah were responsible for each and every one of these acts. This is just one part of a bigger picture. Iran and Hezbollah's most recent terrorist plots span five continents and at least 24 countries. It should be clear to everyone in this hall that these horrific events are not isolated. A clear line of terror runs from the bombing in Argentina to the attack in Bulgaria. It begins and ends in Iran. The following story appeared in Reuters news on Wednesday. "Israel's Barak calls for swifter action against Iran"
Below is David Pakter's ("Reuters1945") posted response and remarks to Reuters News in their comment section. Our thanks once again to David for sharing and making this available to our readers. Iran, as well as numerous other State actors, as well as numerous non-State actors, have repeatedly called for the final destruction of the State of Israel. In addition, the Constitutions of many of the above explicitly make clear the intention of the above parties to work tirelessly and continuously to achieve Israel's removal from the map of the Middle East. Israel, in glaring contrast to the actions and endless threats of the above referenced parties, has never called for the destruction of those same parties or questioned their right to exist. On the contrary the State of Israel wishes only "to live and let live". Given the above status quo, in which Israel's confirmed enemies have sworn repeatedly they will never waver in their stated goal/s to destroy the State of Israel, which they have attempted but failed to achieve, during numerous wars in the past- no one should be surprised that Israel would, and certainly should, take any and all threats to its survival, most seriously. PA President Abbas' Role in the Munich Massacre. Where's the Coverage? Competition in the London Olympic Games begins today although the opening ceremony will take place on Friday, July 27. 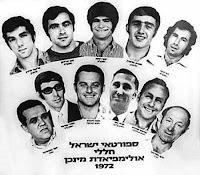 As of this writing, the International Olympic Committee has not agreed to a moment of silence to memorialize the murder of eleven Israeli athletes by Palestinian terrorists at the 1972 Munich Olympics. 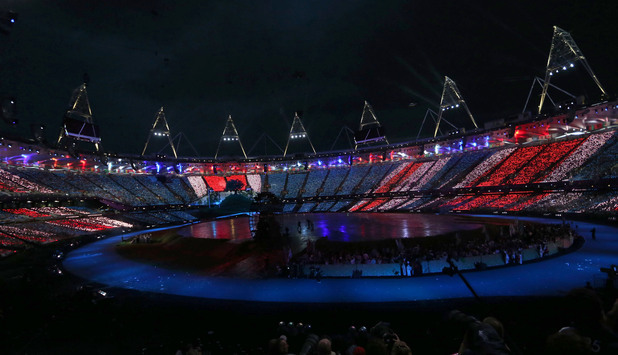 The 2012 Olympic Games get underway in London in two days and three hours [check it here]. An online petition calling for sixty seconds of silence at the opening ceremony in memory of the eleven Israeli Olympians murdered in the Munich Olympic village exactly forty years ago by Palestinian Arabs has gotten more than 107,000 signatures. But it has failed to move the Olympic games organizers. The families of the Munich 11 have tried for four long and lonely decades to obtain appropriate and respectful recognition of the Munich massacre from the International Olympic Committee. Now that it is clear they have finally and absolutely failed, the widow of one of the Munich dead says people sitting in the stadium at Friday’s opening ceremony should stand up and observe what she calls "a spontaneous minute when the IOC president begins to speak". She's absolutely right. The rest of us who will not be there should be doing everything we can to spread the word. How did the organizers articulate their objection? Insensitively. How did the widows object to the objection? Determinedly, and with admirable dignity. At the Pittsburgh General Assembly of the Presbyterian Church (USA) earlier this month, a motion to adopt a boycott of three companies for doing business with Israel was hotly debated and narrowly defeated. At this Christian gathering, a group of “young Jewish activists” provided important “testimony” supporting the motion to isolate and demonize Israel. In fact, Jewish Voice for Peace (JVP) is far from the Jewish mainstream. It is a fringe of a fringe – a small anti-Zionist group, whose finances are unclear, but are almost always found at events where Jew-washing is used, particularly when boycott, divestment and sanctions campaigns (BDS) are at stake. Their motivations, like their financing, are unclear and irrelevant – the fact that they provide a useful cover for non-Jews to justify gratuitous Israel-bashing is what counts. This Year: Making aliyah or moving to Israel? Palestinian human rights? Somebody cares? Our National Responsibility: Break the Silence! Fayyad a “Genuine Reformer”? Hardly.